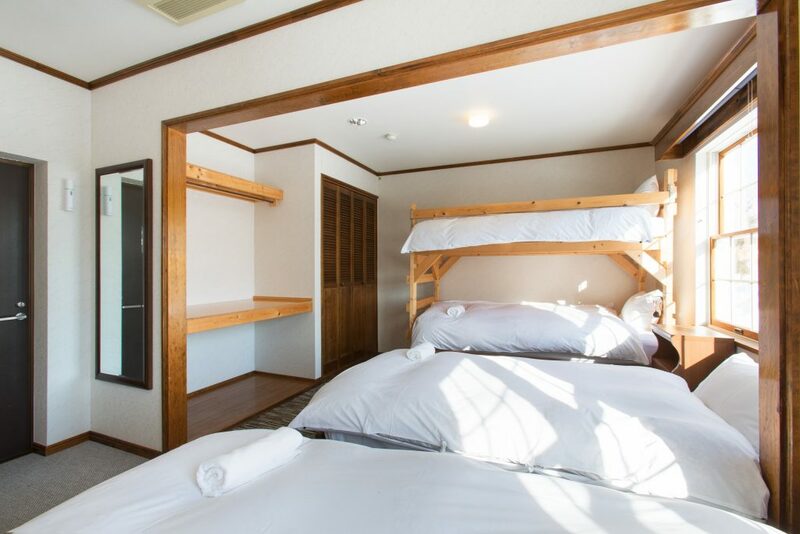 Our Family Room is a very comfy dorm style accommodation. 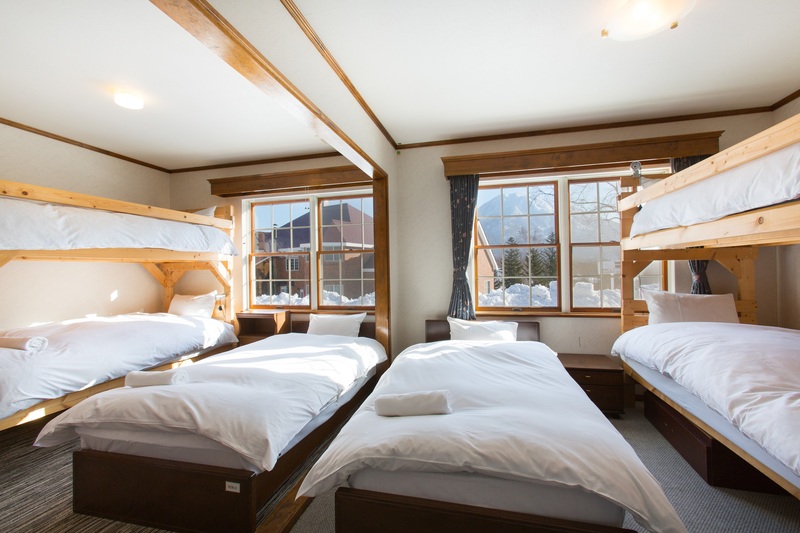 Beds can be sold individually 2 bunk bed and 2 singles OR book the whole room to have your own privacy. 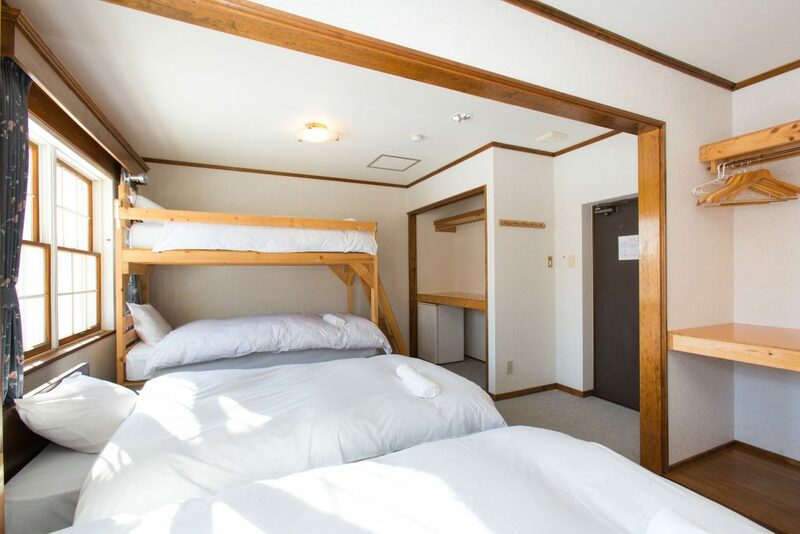 The room has large in-built storage areas and a fridge for any snacks you need to keep close. Guests of the bunk room use the shared bathroom facilities. * Above pricing is standard pricing. For Early Bird Special pricing send us a booking request. 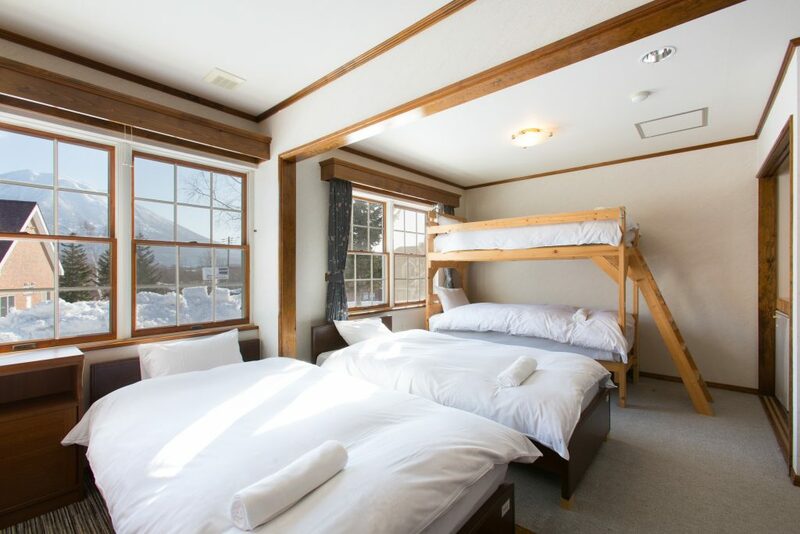 * Above pricing is per person per night including breakfast. * Pricing is shown in Japanese Yen and includes all taxes.